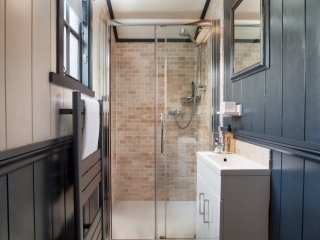 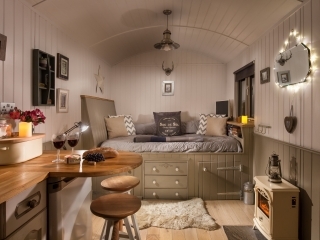 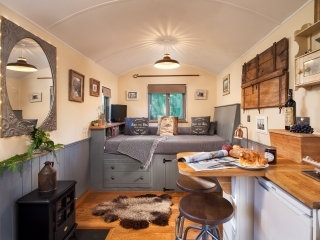 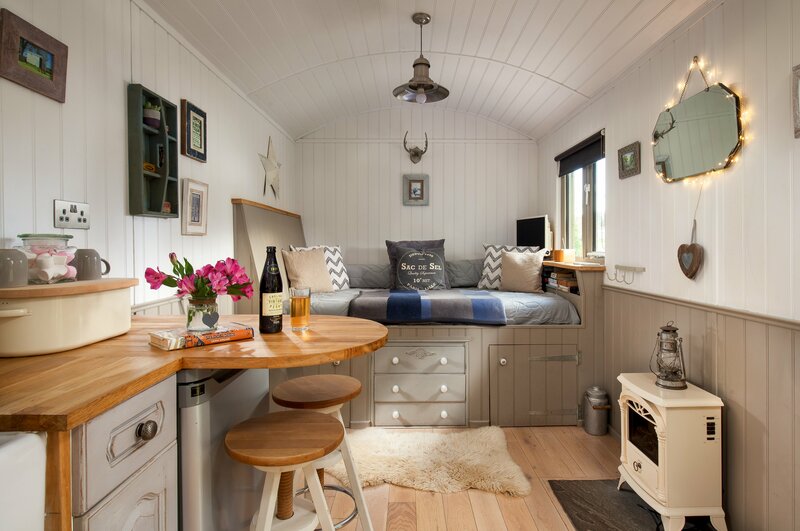 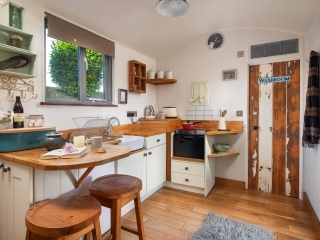 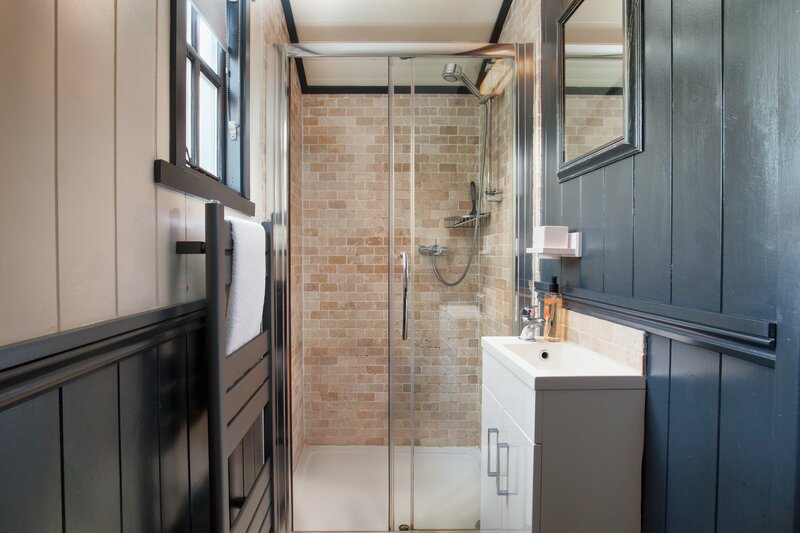 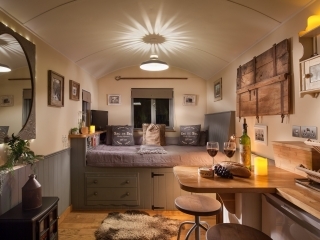 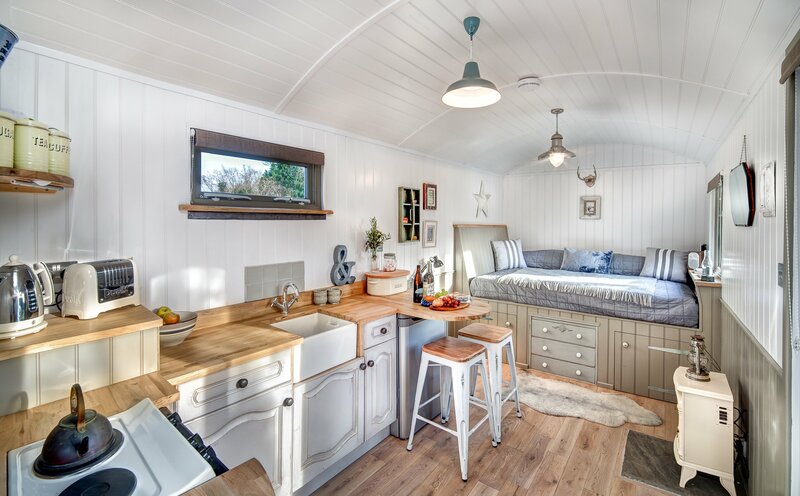 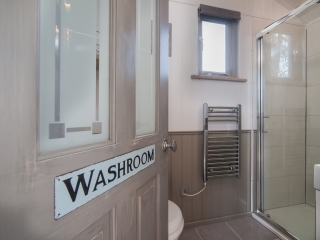 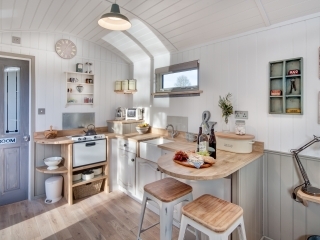 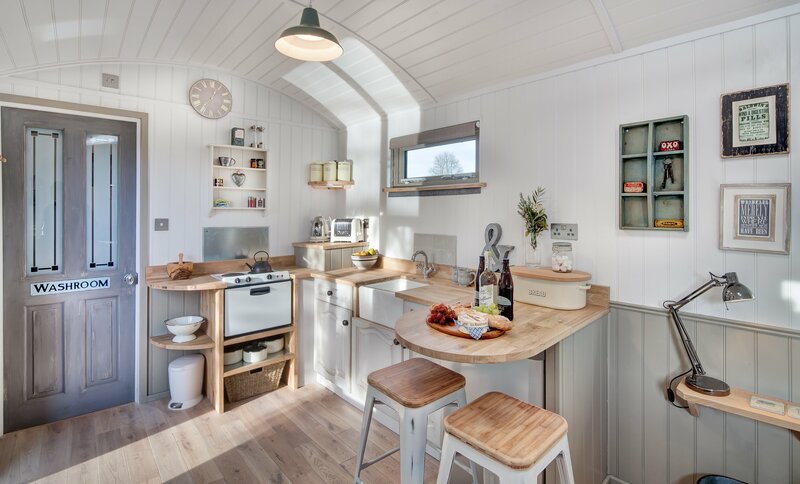 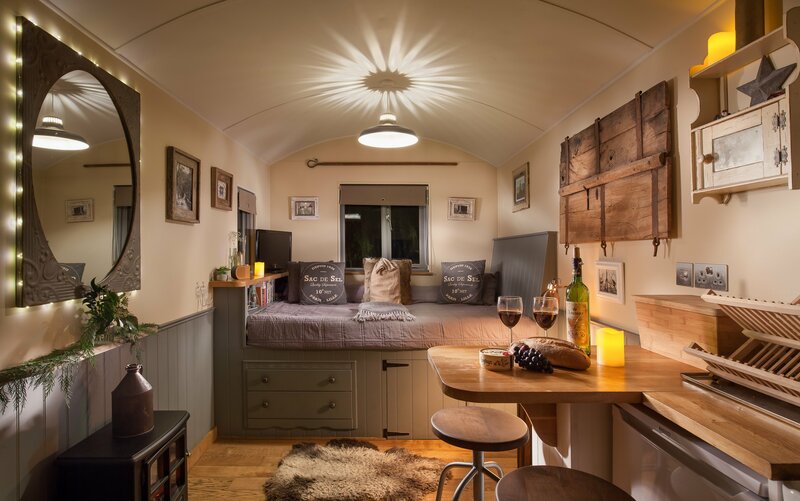 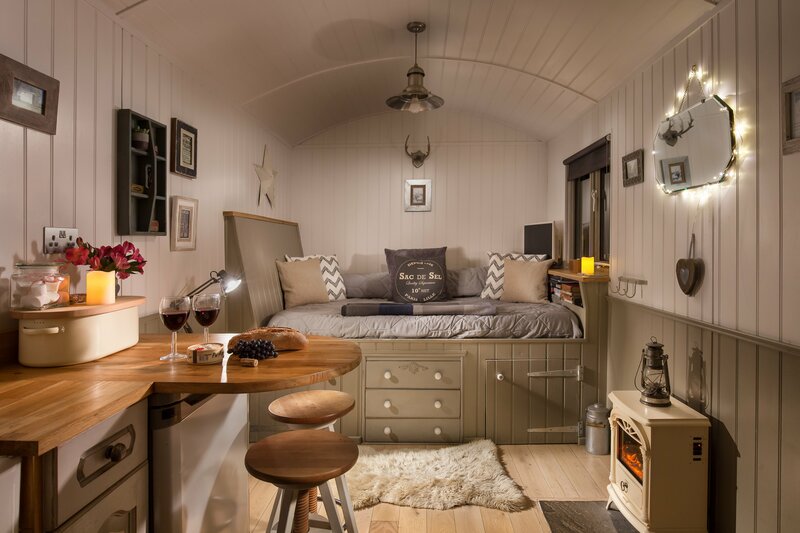 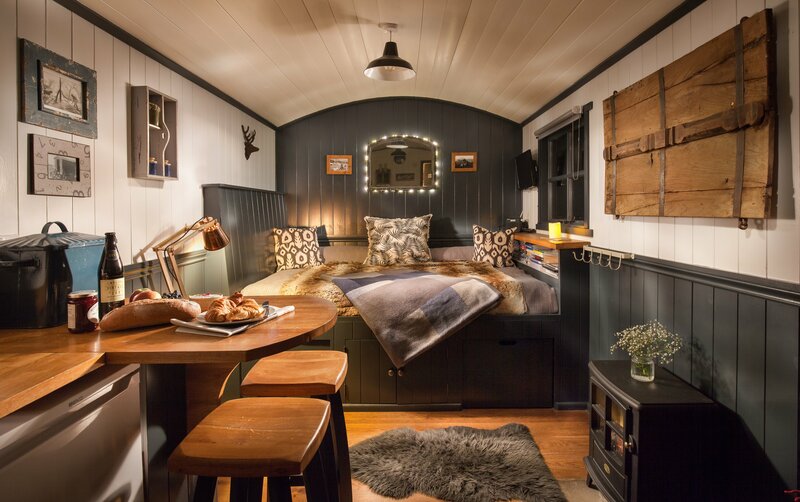 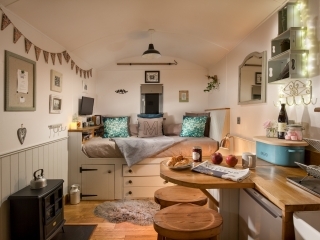 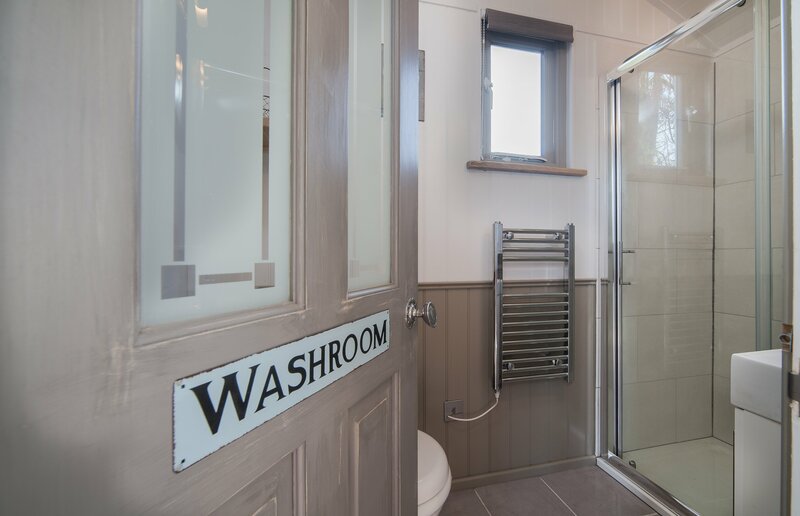 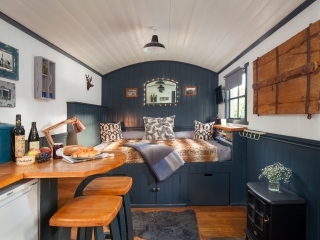 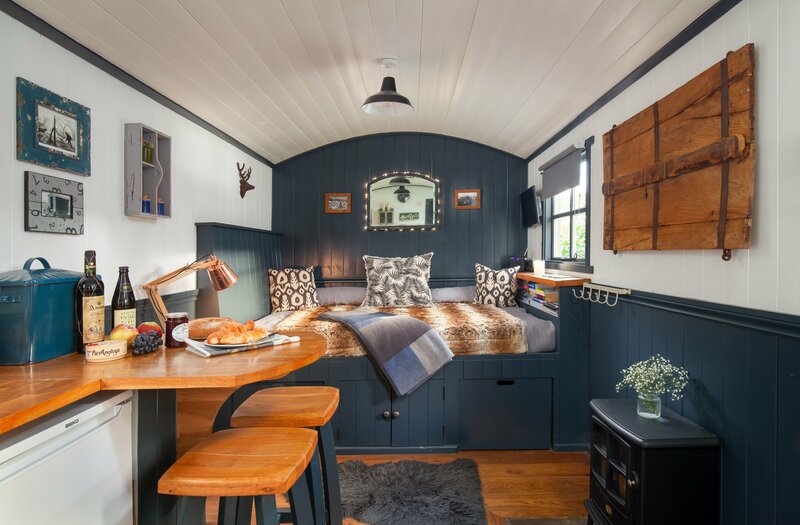 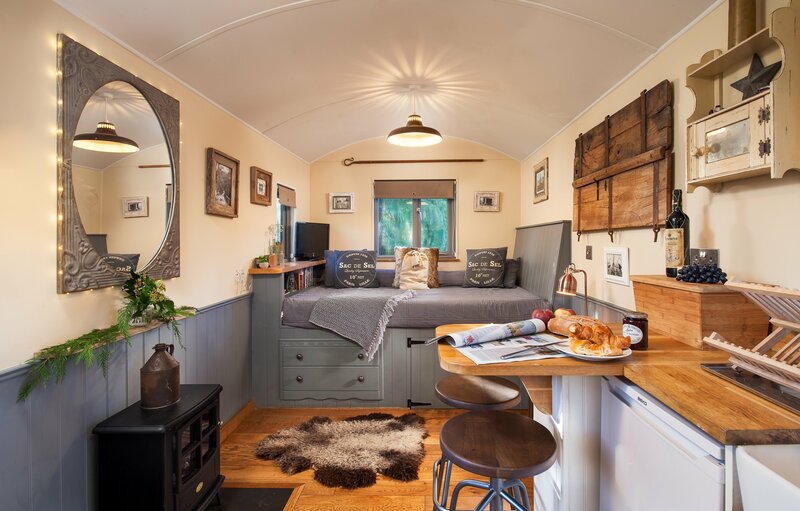 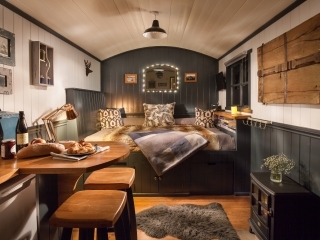 Each Shepherds hut is a spacious 20ft by 8ft with a fully fitted kitchen and separate bathroom. 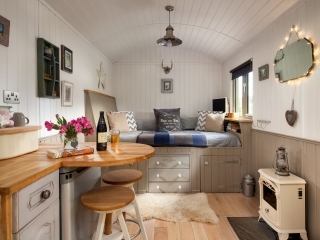 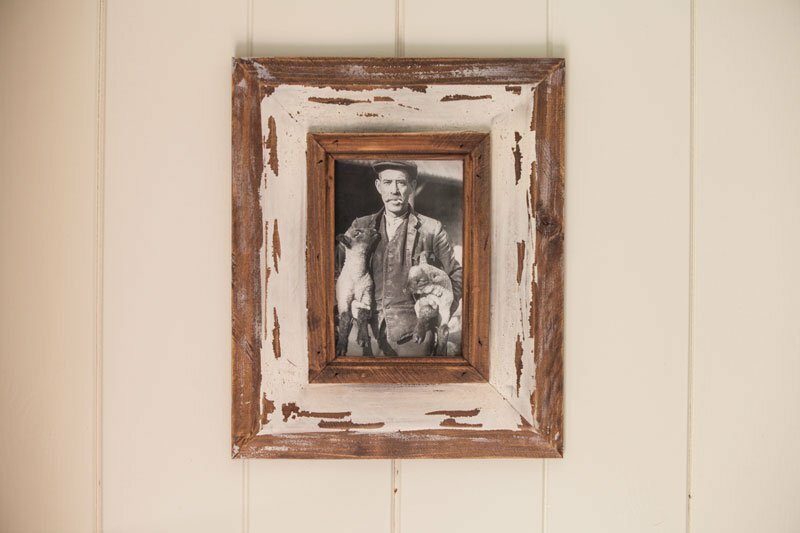 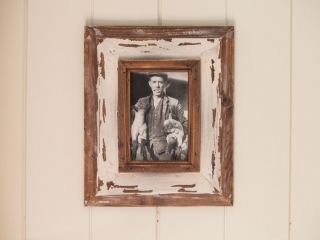 Everything has been finished to the highest standard with beautiful vintage styling. 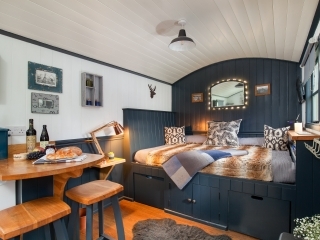 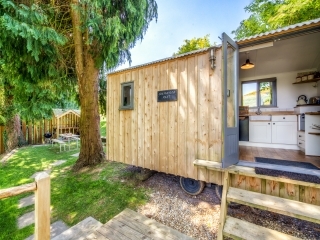 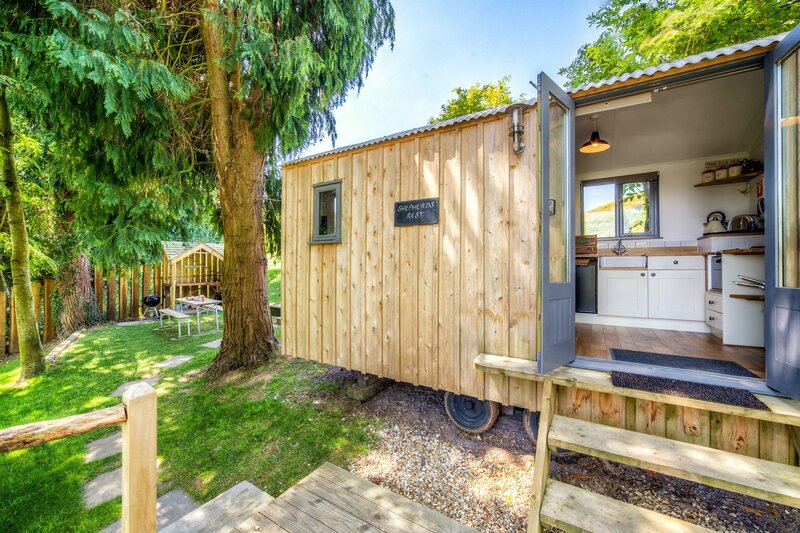 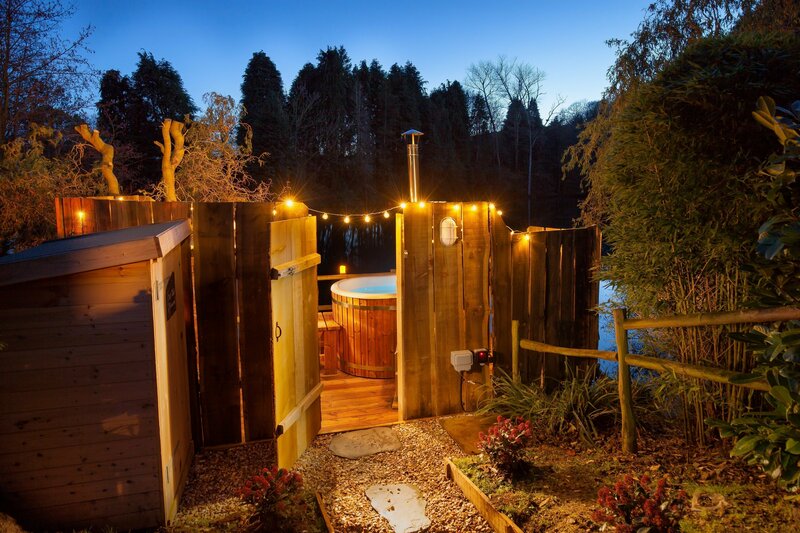 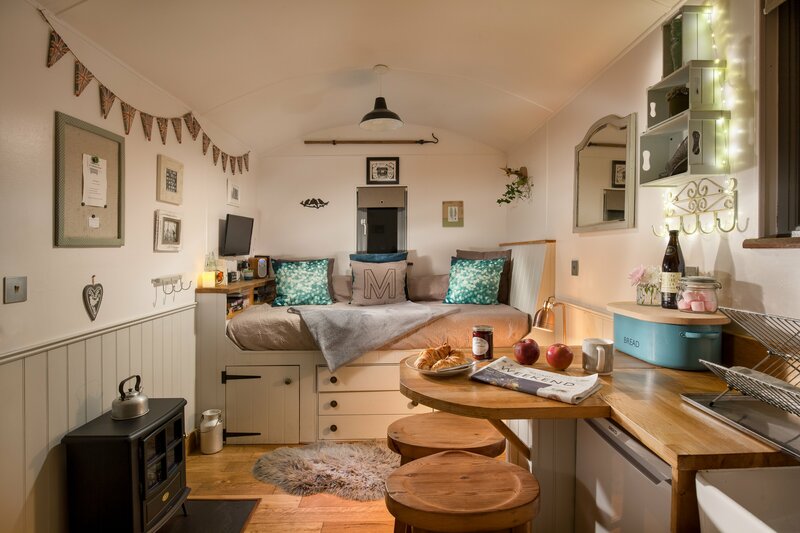 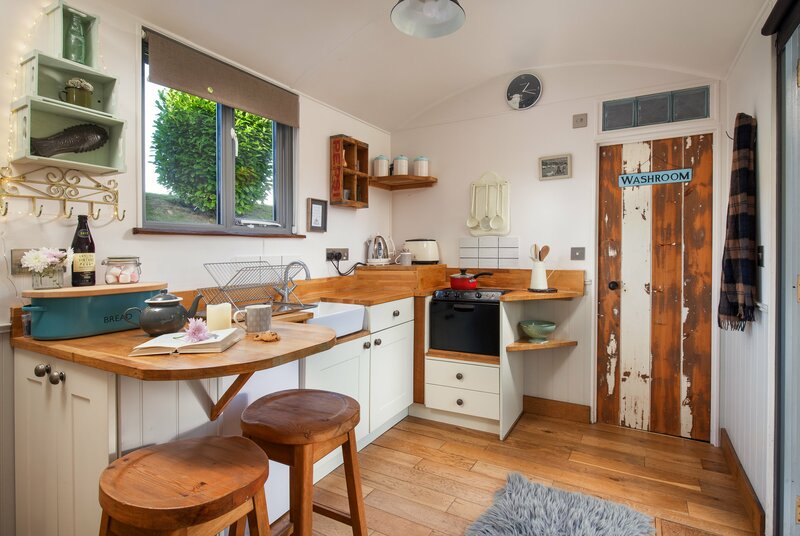 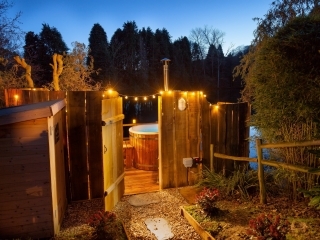 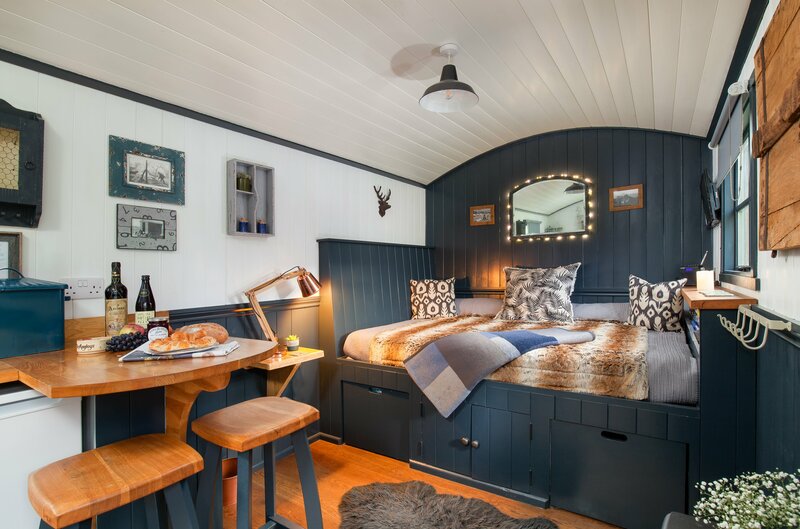 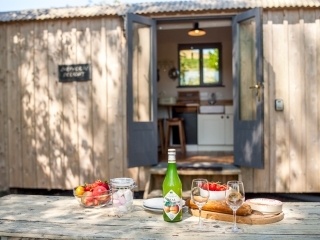 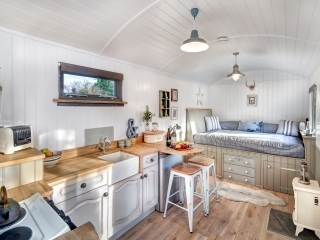 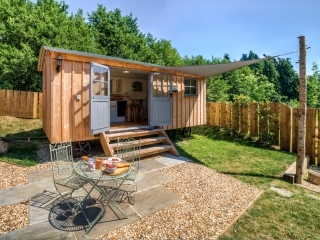 Our huts are a unique design that offer everything you would expect in a self catering cottage but in a beautiful shepherds hut. 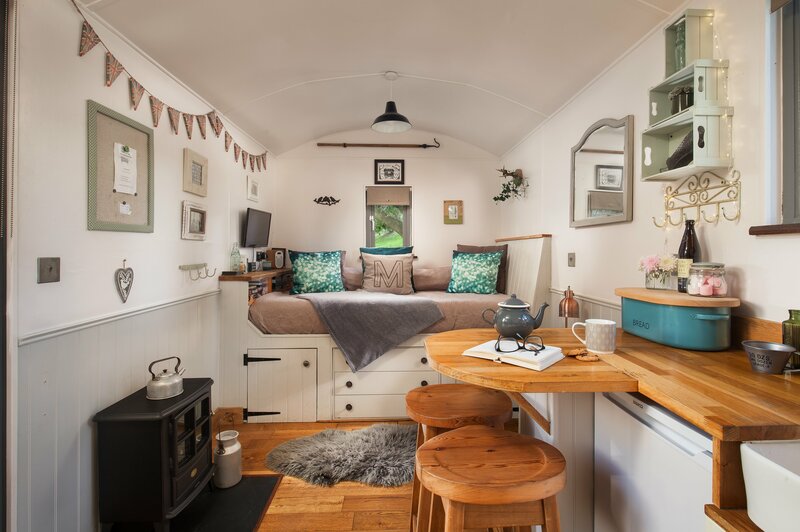 The beautiful interiors are professionally designed and include a range of designer soft furnishings and vintage ornaments. 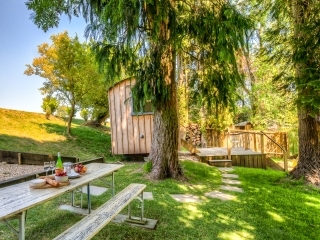 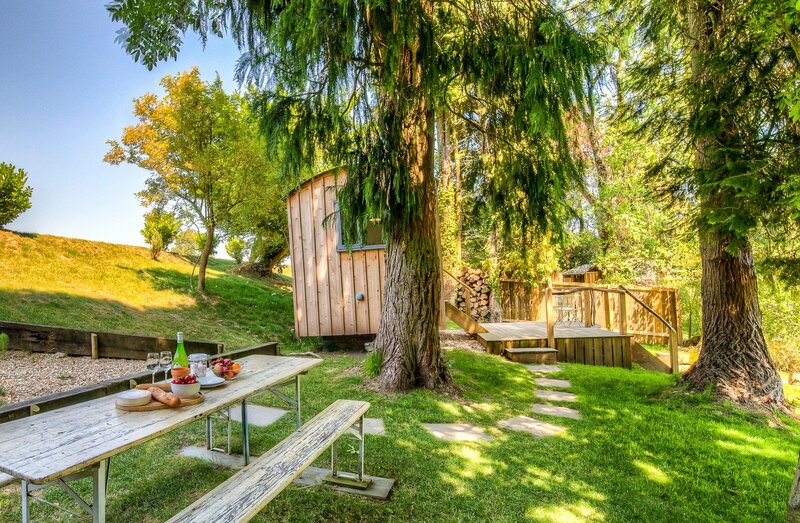 All of the huts are: Surrounded by organic farmland, Powered mainly by a huge 50kw solar p.v bank, Fed twice filtered natural spring water, made from local timber and recycled materials and cleaned using eco products! 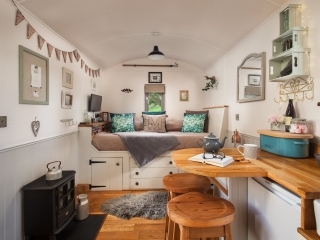 What’s Outside my Shepherds hut? 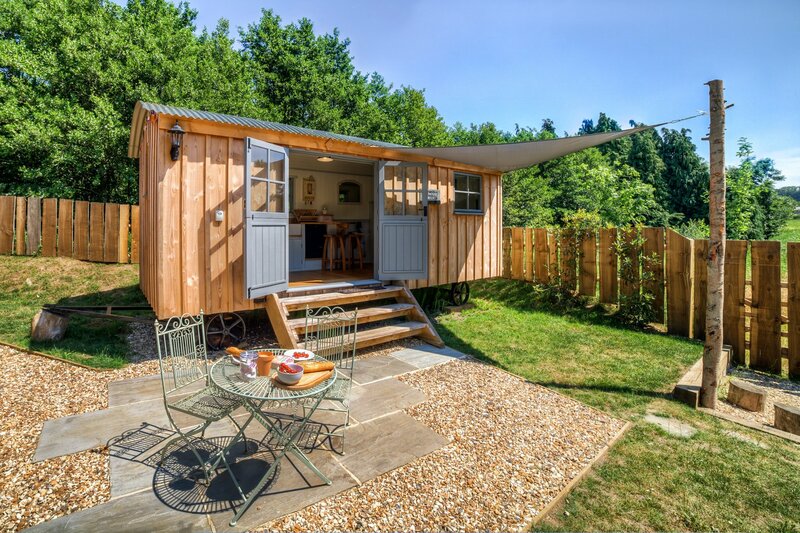 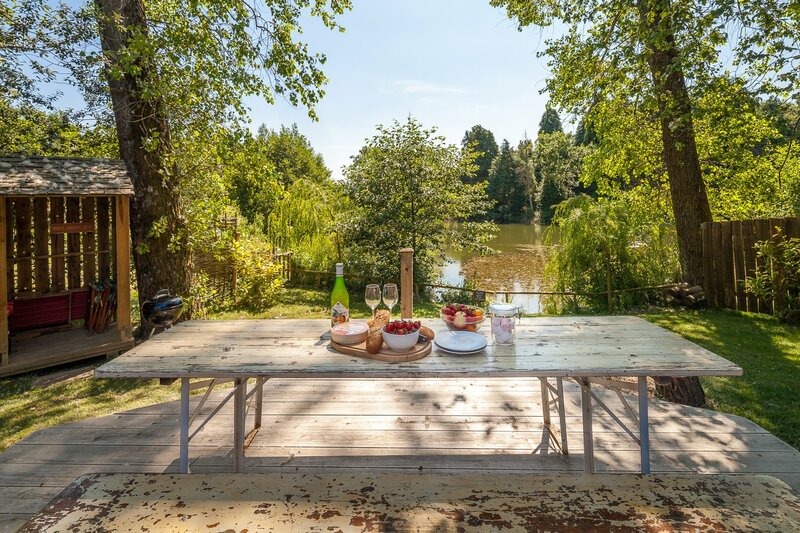 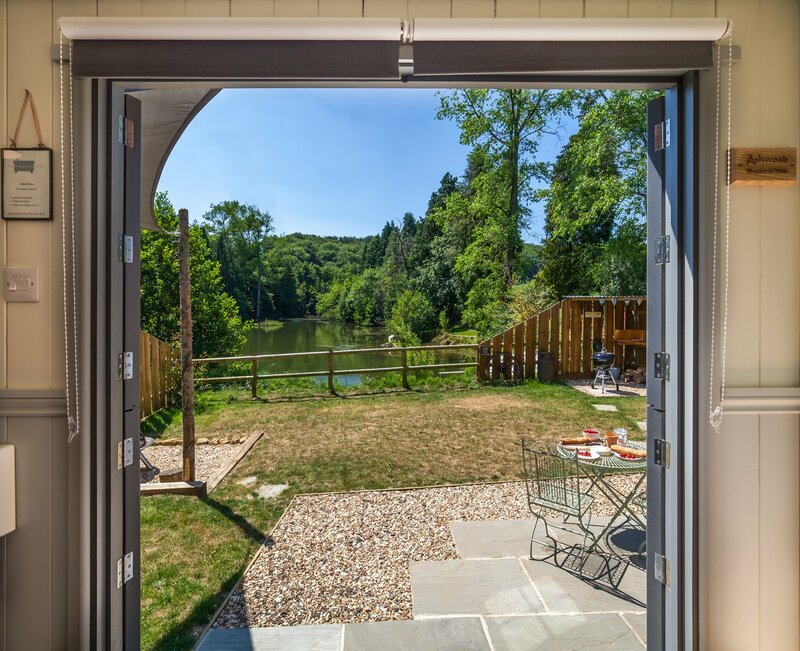 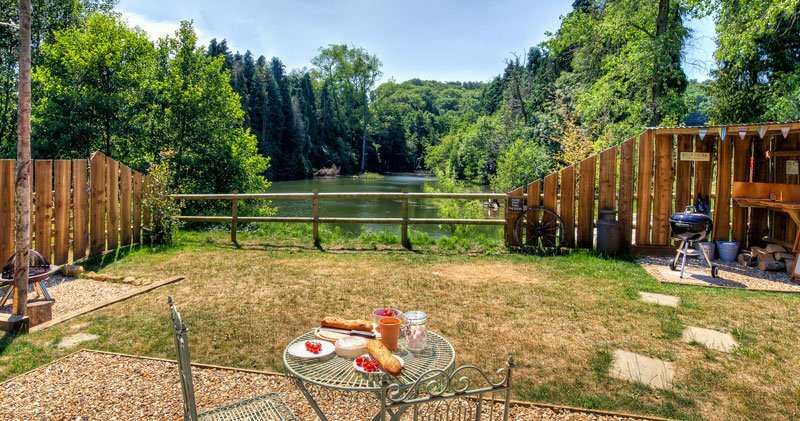 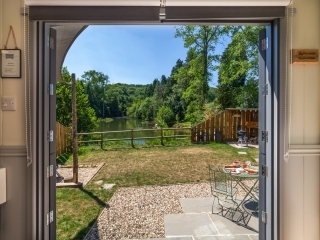 Step down from your Shepherds hut onto the decking and have breakfast overlooking the water, then relax in a deck chair or hammock reading a book under the tree……. 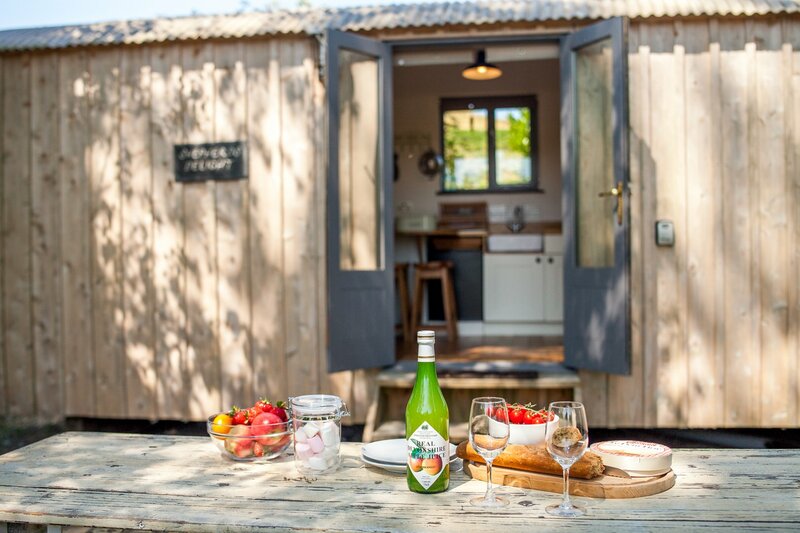 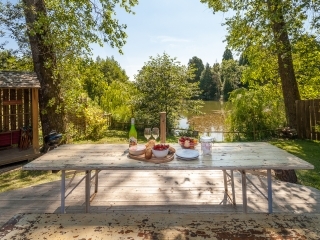 Now its time to light the barbecue (complimentary disposable bbq) have a glass of wine on us and finish by toasting marshmallows on the open fire (complimentary initial basket of wood). Life can be hard!